We offer these visual treats for your enjoyment. 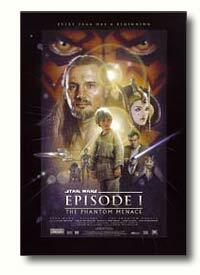 Included are movies and movie trailers from The Phantom Menace as well as from fan-films. 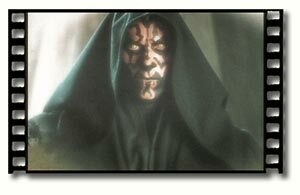 We also offer links to those fan films that are not specifically about Maul, though he makes an appearance in them. Short reviews will be added as well. Enjoy! To download a file: PC: right click once onto the link, and when asked to save, tell the browser where to place the file on your hard-drive. Mac: Cntrl Click to download to disk. depending upon your connection speed. Teaser Trailer: The shorter of the two trailers, it was also released first. Phantom Menace Trailer: This trailer is 2:30 in length and has only a few good shots of Maul.... *sigh* but it is still fun to watch, especially looking for those scenes that didnt make it into the final movie!